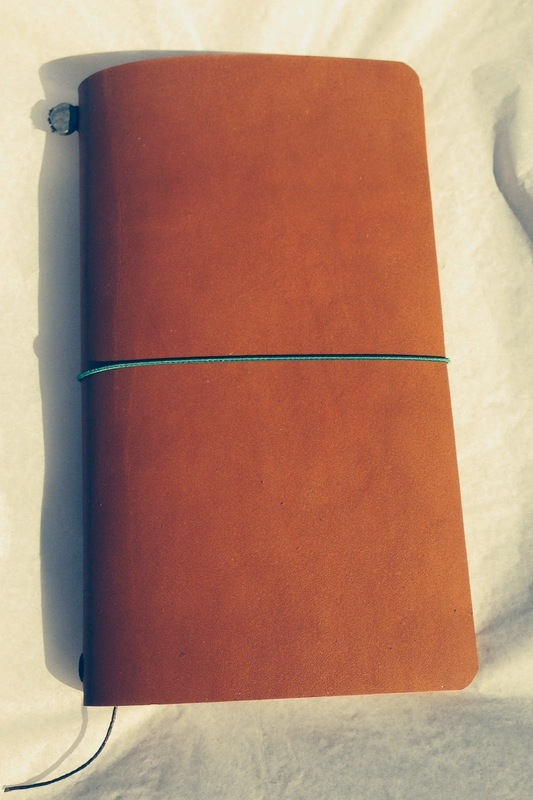 Midori made a beautiful Traveler's Notebook 5th Anniversary special edition in Camel coloured leather. You can't get them any more, although if you're lucky you might find a few of the Passport Star Ferry special editions still for sale, which have the same look. I found some leather that was pretty close to the original and also managed to get some of the lead seals that Midori uses to hold the elastic and bookmark in place. With a little green elastic, my tribute version was complete. I'm not lucky enough to have the real thing, but this is close.